The Tricks of our Trade. 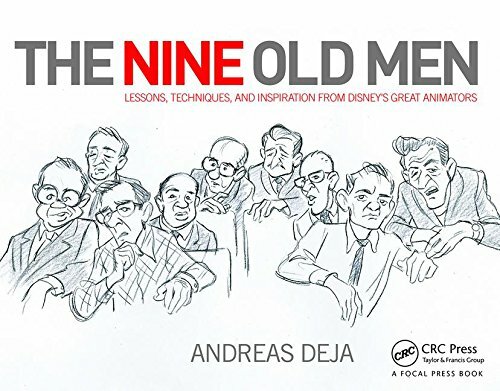 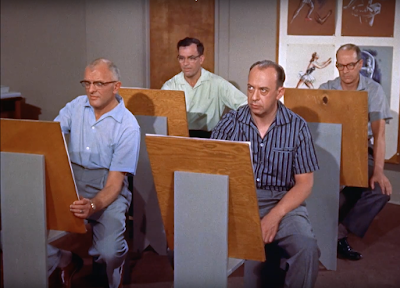 Walt Disney explains various production techniques, and how his animators study real life to achieve convincing results. 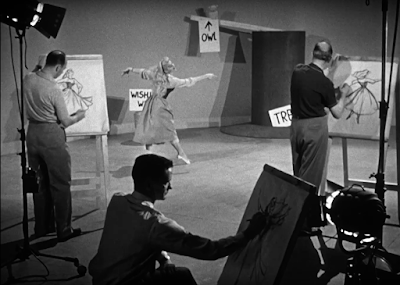 At that time the studio was busy with the production of Sleeping Beauty. 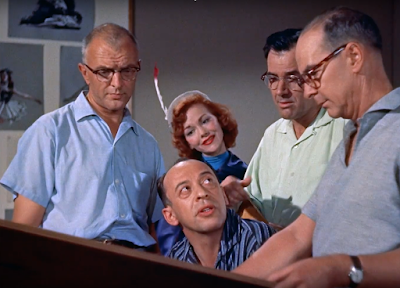 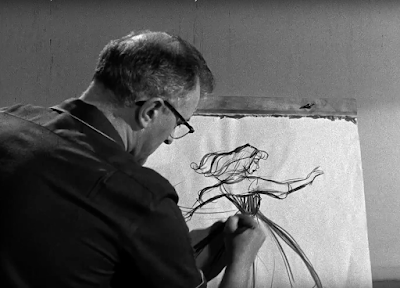 In one brief film clip you can see Marc Davis, John Lounsbery and Milt Kahl, as they sketch actress Helene Stanley who is posing as Aurora. Her dress was made by none other than Alice Davis. 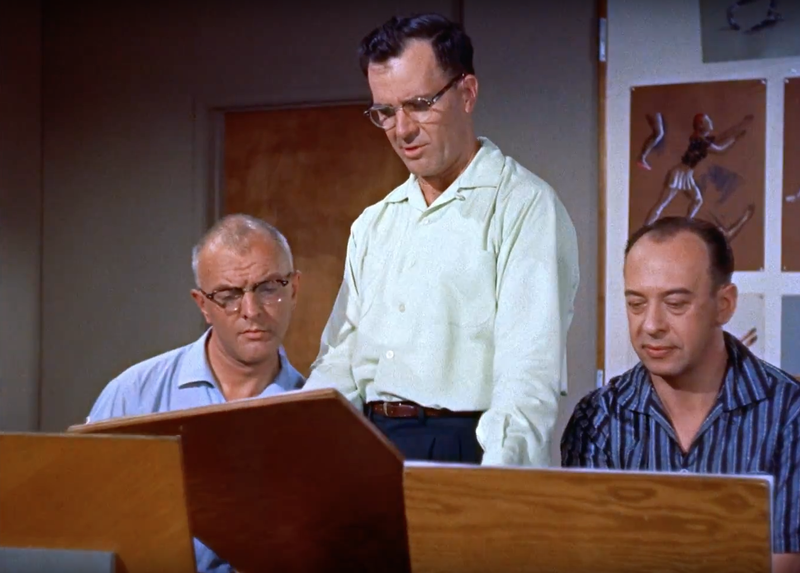 The color footage includes Milt Kahl, Marc Davis and Frank and Ollie. This part is scripted, and the animators act out certain situations. 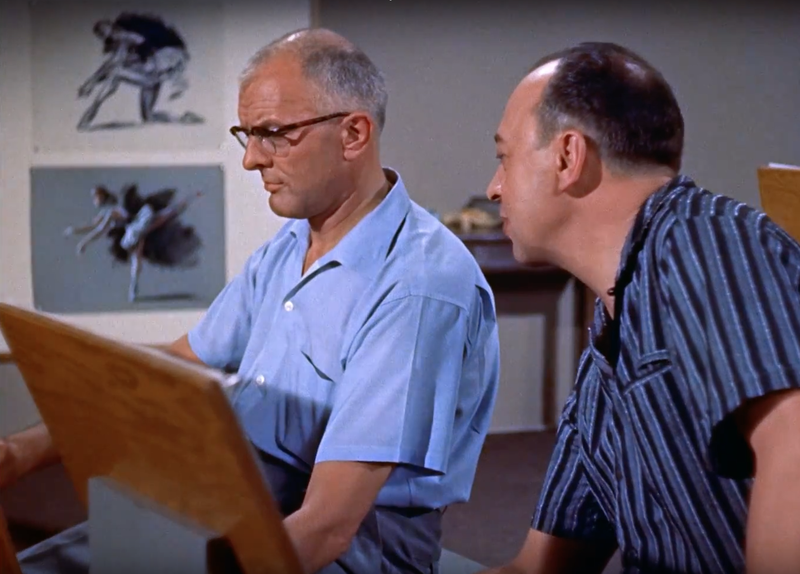 They pretend to do research for Fantasia as Helene Stanley acts out a few animal characters from the film. 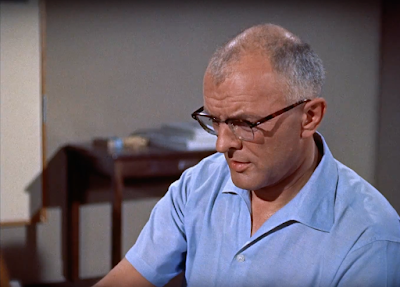 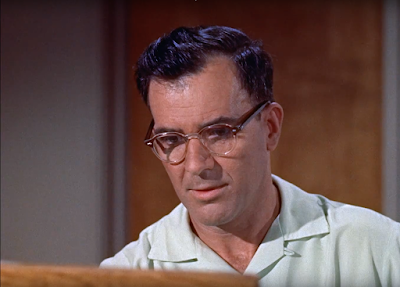 In one scene Ollie shows his drawing of a dancing ostrich to the other artists. 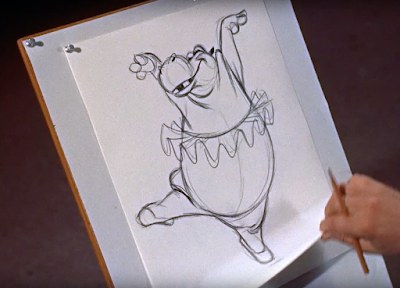 Milt criticizes the size of the feet and proceeds to enlarge them right over Ollie's sketch. Again, all scripted, but this is the kind of thing Milt would do anyway. 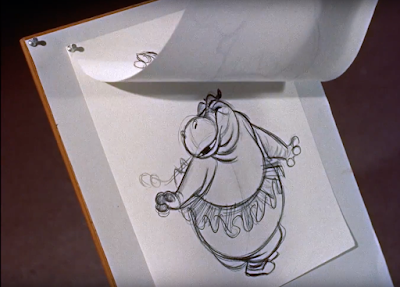 Milt's version of the Fantasia hippo. Behind the Scenes of the Walt Disney Studio. 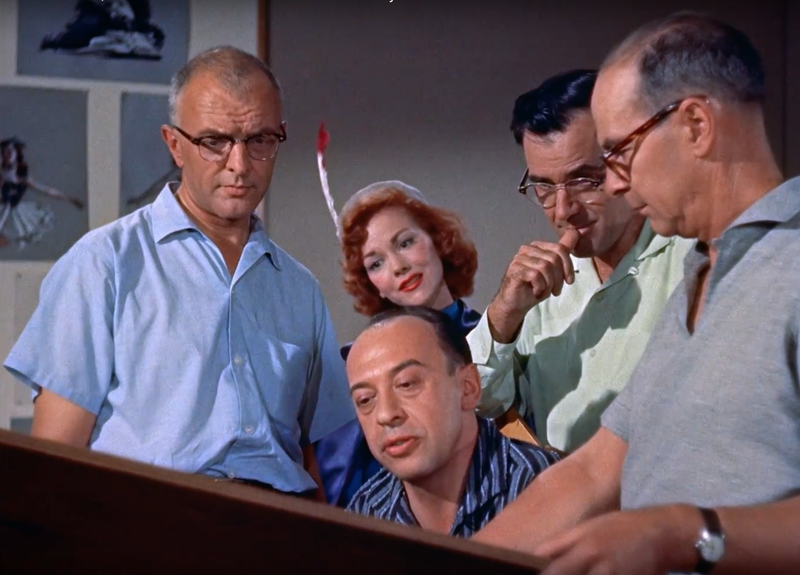 I am not sure if the episode can be found on any Disney Bluray disc.